Once 61custom has an understanding of the scope of your project and how to best meet your needs, a preliminary floorplan & elevations will be drafted. If you already have a floorplan in mind or have purchased stock house plans we’re revising, we will begin by addressing: how the plans fit with your lot, any changes you may want to make, and any changes 61custom may suggest to improve the plans to better meet your individual needs based on your pre-design consultation. After obtaining feedback from you on the initial floorplan and elevations for your custom home, a finished draft will be completed for your review. At this time, any last minute changes or additions can be made before the full set of plans is drafted. 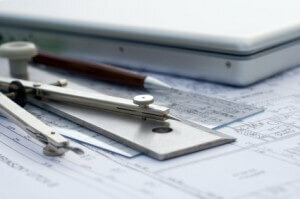 If your HOA requires a design review, the information required will be completed at this time. We recommend obtaining HOA approval prior to completing the plans. Many clients find a 3d model or virtual rendering helpful at this phase. By viewing the home or certain living areas in 3d, clients are able to visualize the finished product. Any desired design changes can be made to the plans now, eliminating costly construction changes later.